Ahava Men's Bath and Body Care products are known the world over for their light, yet highly effective skin care treatments. Ahava Foamless Shave Cream, Ahava Exfoliating Cleaning Gel and Ahava Soothing After Shave Moisturizer just name a few of the Ahava facial care products created specifically for men. Sodium Laurel Sulfite-free, Paraben-free, alcohol-free and not tested on animals Ahava Men's bath and body care products are the crème de la crème in luxurious men's bathing products. This unique alcohol-free & foamless cream provides a close, even shave while hydrating skin. This light moisturizer works quickly to calm and sooth skin after shaving. 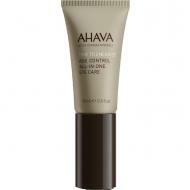 Ahava's unique mineral-enriched formula provides long-lasting hydration while smoothing fine lines. 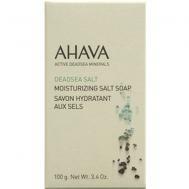 Ahava Moisturizing Salt Soap with a special blend of Dead Sea minerals essential to healthy skin, this soapless soap cleanses as it revitalizes and restores the skin's natural pH. For all skin types. 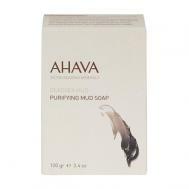 Ahava Purifying Mud Soap blends Dead Sea mud and minerals in this soapless soap, to remove impurities, refresh the skin and restore the natural pH. 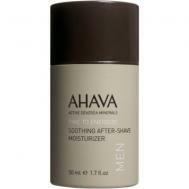 For normal to oily skin.No animal testing on this, or any other Ahava Dead Sea product. Ahava Liquid Salt with it's light citrus scent will reset your skin's inner balance the natural way. This one-of-a-kind gel contains an intense concentration of Dead Sea Minerals - an astonishing reproduction of the waters of the Dead Sea basin. 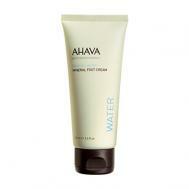 Ahava Mineral Shower Gel is enriched with the Ahava Mineral Osmoter, Dead Sea Mineral complex. Formulated with soothing skin conditioners, this Ahava Shower Gel cleanses the skin thoroughly, leaving it refreshed and relaxed. 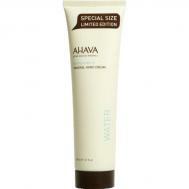 Ahava Dermud Hand Cream for very dry, cracked, red skin. Ahava for Men Age Control Eye-Care is refreshing gel-textured eye moisturizer that strengthens a man's skin while providing a plumped, vital-looking appearance, made especially for men. Ahava for Men Mineral Hand Cream is a nourishing hand cream that absorbs instantly to heal rough, dry skin without the greasy residue.